GREAT CREATION MY BELOVED CROW! Photoed by S.Nivetha in our Balcony. Of food with all your kith and kin-which I don’t! On the branches of a tree very regularly learning! In my balcony and coming in seconds to taste the good! Whether it is harmless and then only you take!careful certain! I call you as earth beautifiers sans any salary what a great grace! Lovely bird beloved crow created by the Omnipotent! I feel jealous of you-I am unable to swim in air like you! 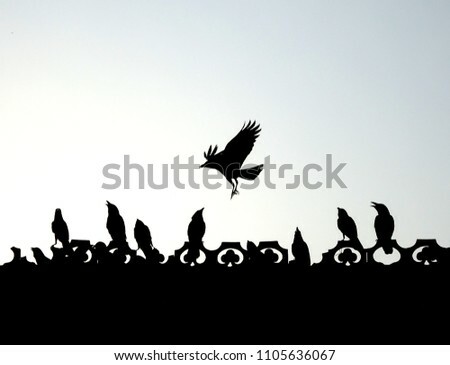 CROWS- Teacher and the Taught! Of the million creations of the Almighty-Omnipotent, Omniscient and Omnipresent – Flamingo is one nice and beautiful bird! Flamingos are seen in several parts of the world but there is no history of any individual or organization celebrating as FLAMINGO POETRY FESTIVAL anywhere except in Nellore, Andhra Pradesh where at the initiative of International Poet Shri Perugu Ramakrishna of PEN.India and the Tourism Development Department of the Government of Andhra Pradesh FLAMINGO POETRY FESTIVAL is being conducted. This year’s that took place in Nellore is the IV th Edition- first three conducted in the years 2015, 2016 and 2018. I had the fortune and privilege of attending the Festival in 2016 in ShulurPeta, Nellore District A. P.
This IV th Edition was conducted in the Indian Institute of Tourism and Travel Management, (An autonomous body under the Ministry of Tourism, Government of India) situated at Golagamudi village and Post), via Sarvepalli, SPSR Nellore District, Andhra Pradesh. Sarvepalli is the home village of our Professor- Philosopher- President of India Sarvepalli Radhakrishnan to be deemed as a holy place. Of course reasons are not far to seek!. Lot of migratory birds-flamingos add natural charm to Nellore District in various tanks and lakes. 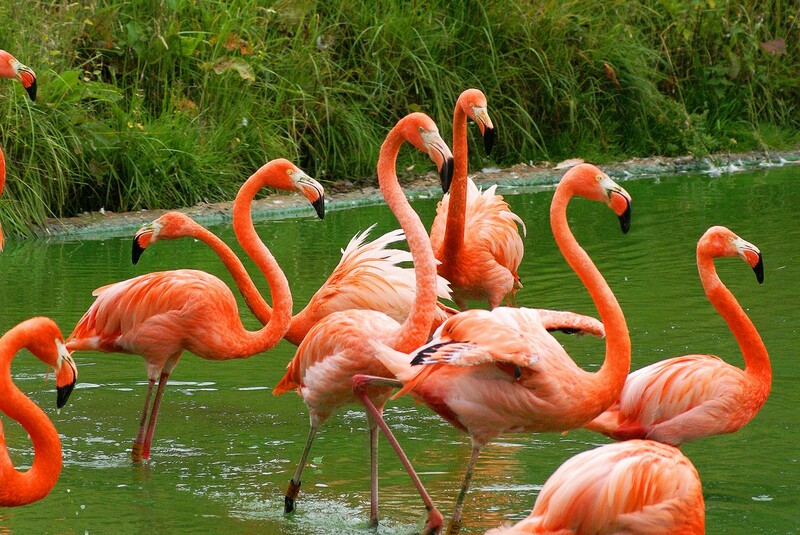 Have a look at two of the important habitats for Flamingos here. Pulicat Lake Bird Sanctuary: Pulicat is a small seashore township which offers an invigorating and thrilling experience of expedition. Sited on the barricade island of Sriharikota which divides the Pulicat Lake from the Bay of Bengal, it is located at a distance of 60 km from Chennai and 3 km from Elavur, It is the second leading brackish lagoon in India–covering a total area of 720 sq km of which 84% comes in Andhra Pradesh and 16% in Tamil Nadu–following the Chilka Lake in Orissa. It extends to a length of 60 km.. They serve as breeding grounds for migrating birds and resident amphibians, permanent homes for fish species, social interaction amongst mammals who congregate there for water, and an escape from the heat of the sun for countless reptiles, amphibians and mammals. Nelapattu Bird Sanctuary, Nellore Renowned for being one of the most significant pelican habitats that can be found in entire south-eastern Asia, the Nelapattu Bird Sanctuary in the Nellore District of Andhra Pradesh in India is every bird watcher’s dream come true. This mesmerizing sanctuary is located just near the village of Nelapattu and is spread over a total area of about 459 hectares. The sanctuary is also a crucial breeding site for the spot-billed pelicans and is also home to significant plant communities like the Barringtonia swamp forests and the southern dry evergreen scrub. Other than the spot-billed pelican, the sanctuary is an important breeding ground for other birds as well, such as white ibis, open-bill stork, night heron and little cormorant. In all, 189 different species of birds can be found at the Nelapattu Bird Sanctuary, of which 50 species are migratory. These migratory birds include common teal, shoveler, Spot-bill duck, grey heron, black-winged stilt, and garganey gadwall. Nelapattu Bird Sanctuary got its name from its neighboring village, located in the Nellore district. It was declared as a sanctuary in the year 1997 by the government of India. The famous festival ‘Flamingo’ is also organized here by the government every year in January and witnesses huge footfall. What adds to the beauty of the sanctuary other than the breathtakingly beautiful bird species found here is the strategic location of the sanctuary. The Nelapattu Bird Sanctuary is located just near the Pulicat Lake, which is the second largest salt lake in all of India. The easy accessibility to the sanctuary from nearby major towns and cities is a bonus, which makes this destination on the top of the list of places to visit in Andhra Pradesh. அறியாத மக்களும் அறிவதற்கு வாய்ப்பு இங்கே! ஆழமான நீரில் காட்டுக்கோழி போல் இரைதனைஉண்ணும்!. உலர்ந்த சதுப்பு நிலத்தில் கூடு உற்சாகமாய்க் கட்டி நிற்கும். ஆறு ஏழு முட்டைகளை அதிலே அன்போடு இட்டுவிடும். Here is a chance for all to know in harmony! Let us enjoy poetry that makes us joyful! The home of India our Motherland in Asia. The Poetry festival started at 10.00am. With the lighting of the lamp by the Chief Guest Sri Abdul Azeez, Hon’ble Mayor of Nellore Municipal Corporation to the accompaniment of invocation in Sanskrit seeking the blessings of Lord Vigneshwara. Shri Perugu Ramakrishna, International Poet and Executive Member of PEN.India (An Apolitical Association of Indian Writers who sponsored Flamingo Poetry Festival once), convener of the Poetry Festival presided over. He traced the history of the Festival from the first Edition in 2015 to the IV the Edition on 31st January in a graphic manner. Chief Guest Shri Azeez, in a scholarly manner, spoke about the home of Flamingos, viz Nellore, its significance, economic impact of tourism and traveland the role the students and public can play in development and so on. Shri Srinivasa Kumar, District Tourism Officer explained the various programs of the Department. Ten senior poets and ten students presented their poems on the theme”Migratory Birds” in Telugu, Tamil, Malayalam, Kannada, Hindi and English by the poets participating from different Southern States. Shri Vinodan Assistant Professor of IITTM proposed Vote of Thanks. Dr. S. Meera Nodal Officer of the Institution was thye co convener. In connection with the Festival a nice Photo and Art exhibition was put up. 15 photos and 12 artistic hand drawn pictures were presented by the students. Photos on the theme by Shashi Mouli, Sanjana and Vishal were adjudged top three. In the matter of drawing presentation, Sanjana, Shiv Hari and Rizwana were the top three. Power Point Presentation was made by Vinay and Kulsum and Sanjana as a group and the second group comprising Hasya and Sameera . Three papers were also presented by them. All the covereges mentione about the participation of Malayalam Poets Shri Unnikrishnan and Janardhan and Tamil poet N V Subbaraman. N V Subbaraman being honored by the Chief Guest. Nodal Officer Madam Dr. S. meera addressing. Convener International Poet Shri Perugu Ramakrishna with Mr Unnikrishna to his right and N V Subbaraman and Janardhan on his left. Convener Perugu Ramakrishna to present bouquet to the Chief Guest. Chief Guest Mayor of Nellore addressing the Festival. Thus was the FLAMINGO POETRY FESTIVAL –IV Edition on 31st January at Nellore. The blogger carrying the happiest memories returned home eagerly expecting the V Edition next year! This Sunday Story comes to an end with this. We shall meet tomorrow morning. Till then GOOD BYE! 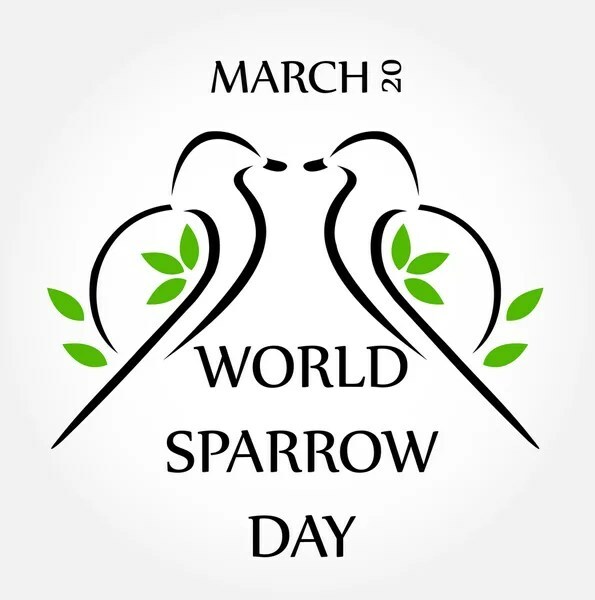 WORLD SPARROWS DAY IS TODAY! And conserve the Sparrow and birds others with love and sympathy! The areas urban -unfortunate we lose birds by waves power!